Major renovations at Parkside Place led to sizable early improvement in rental and occupancy rates. After realizing significant additional cash flow for investors, Aii sold the property to a Houston Family Office looking to expand its local presence. 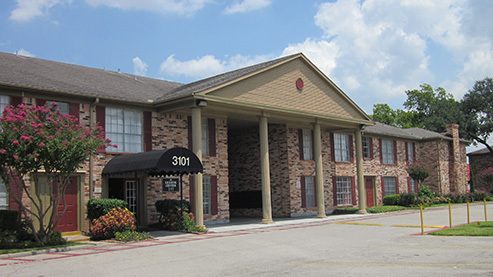 Apartment Income Investors (Aii) is pleased to announce the sale of Parkside Place Apartments, a 321-unit apartment building located in Pasadena, Texas, a suburb of Houston Texas. Aii acquired the property in October 2014 in an off-market transaction, through an existing broker relationship. The property had strong in-place cash flow with substantial upside. Aii saw the opportunity to improve property operations and increase rental rates while improving the common area and systems such as pools, parking and plumbing. Aii implemented a business plan to improve operational efficiency and increase rents closer to market. The Aii team improved the overall property condition and enforced the Community Rules and Guidelines to improve exterior appearance and attract high-quality tenants. Aii replaced common area light fixtures with LED, energy-efficient and long-lasting fixtures. The meters supplying these fixtures used 30% less electricity―an enhancement benefiting the environment while increasing Net Operating Income and the value of the property. Aii sold at a premium price due to positive operations, strong cash flow and the position of Parkside Place as the highest-quality choice for tenants within the submarket. For more information, also see this case study describing how the Parkside Place investment exemplifies Aii’s investment process.